Jorge Godoy was born in Maracay, Venezuela, in 1986. He received the electronic engineer degree from the Universidad Simón Bolívar in 2008. 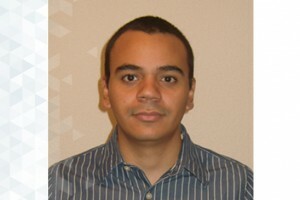 Since 2009 he has been researching on autonomous vehicles at the Center of Automation and Robotics (CAR). In 2011, he received his M.E. degree in Automation and Robotics from the Universidad Politécnica de Madrid, finishing his PhD degree in the same area on 2013. His research interests include fuzzy-logic control, and intelligent transportation systems (ITS). A Primitive Comparison for Traffic-Free Path Planning. IEEE Access. Vol.6. Pages: 28801 - 28817. A driverless vehicle demonstration on motorways and in urban environments. Transport. Vol.30. Number. 3. Pages: 253 - 263. An auxiliary V2I network for road transport and dynamic environments. Tramsportation Research, Part C: Emerging Technologies. Vol.37. Number. null. Pages: 145 - 156. Cooperative controllers for highways based on human experience. Expert Systems with Applications. Vol.40. Pages: 1024 - 1033. On-line learning of a fuzzy controller for a precise vehicle cruise control system. Expert Systems with Applications. Vol.40. Pages: 1046 - 1053. A Fuzzy Aid Rear-End Collision Warning/Avoidance System. Expert Systems with Applications. Vol.39. Pages: 9097 - 9107. An evolutionary tuned driving system for virtual car racing games: The AUTOPIA driver. International Journal of Intelligent Systems. Vol.27. Pages: 217 - 241. An Intelligent V2I-Based Traffic Management System. IEEE Transactions on Intelligent Transportation Systems. Vol.13. Number. 1. Pages: 49 - 58. Comparing fuzzy and intelligent PI controllers in stop-and-go manoeuvres. IEEE Transactions on Control Systems Technology. Vol.20. Pages: 770 - 778. Genetic optimization of a vehicle fuzzy decision system for intersections. Expert Systems with Applications. Vol.39. Pages: 13148 - 13157. Smooth path and speed planning for an automated public transport vehicle. Robotics and Autonomous Systems. Vol.60. Pages: 252 - 265. Traffic jam driving with NMV avoidance. Mechanical Systems and Signal Processing. Vol.31. Pages: 332 - 344. Automated On-Ramp Merging System for Congested Traffic Situations. IEEE Transactions on Intelligent Transportation Systems. Vol.12. Number. 2. Pages: 500 - 508. Ultrasonic sensors in urban traffic driving-aid systems. Sensors. Vol.11. Pages: 661 - 673. Arquitectura de control para la conducción autónoma de vehículos en entornos urbanos y autovías..